Features reinforced composite material for rough and unique applications. 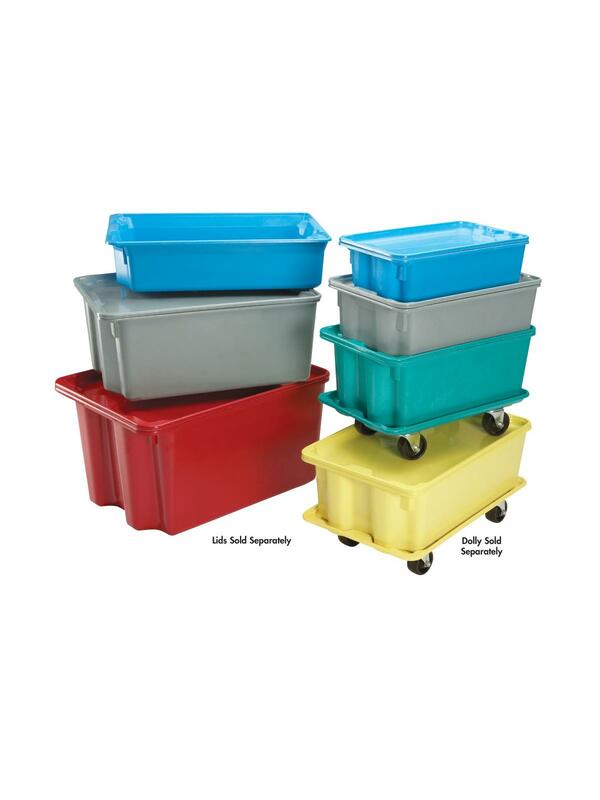 Perfect for assembly line use, conveyors, carrying or storing material or fabricated parts. Design saves valuable space, stack when full, rotate 180° and nest when empty. 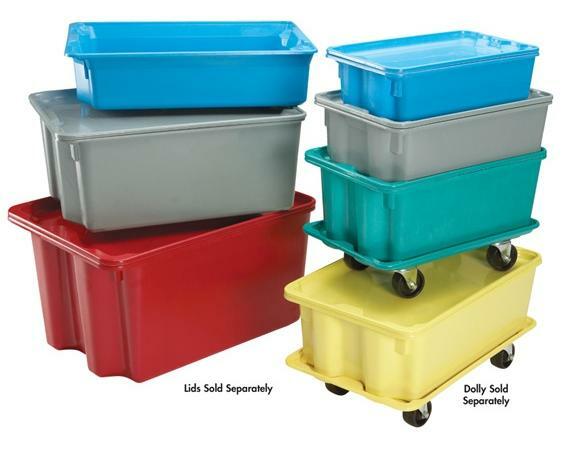 Molded-in handle areas provide safe ergonomic handles. Easily cleaned in hot water or steam with standard detergents. 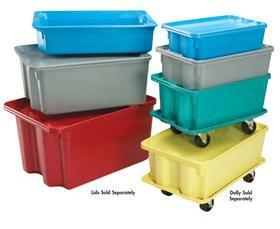 Standard lids are available -- call for quote. Standard colors are Blue, Gray, Green, White, Red, Yellow and Black. Additional sizes and colors are available -- call for information. FOB Shipping Point. 35-7/8 x 17-3/8 x 14-1/8"35-7/8 17-3/8 14-1/8"
42-1/2 x 20 x 14-1/4"42-1/2 20 14-1/4"